Thursday, May 2nd, 2019 at Jug's Hitching Post in Kohlsville. Welcome to the Kettle Moraine ATV Association (KMATVA) website. 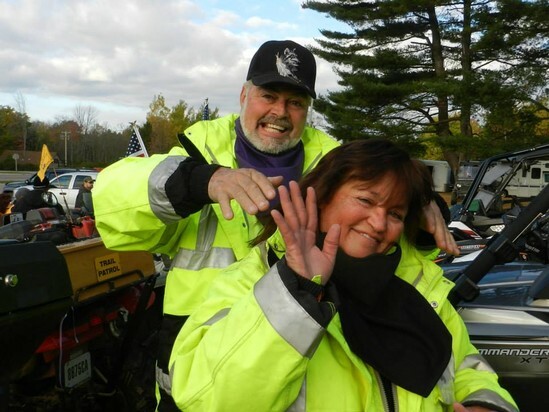 KMATVA is an organization dedicating itself to addressing All Terrain Vehicle (ATV) issues and pursuing opportunities for future local ATV recreation. KMATVA was formed with the purpose of promoting ATV as a safe and social experience while fostering a positive public image. 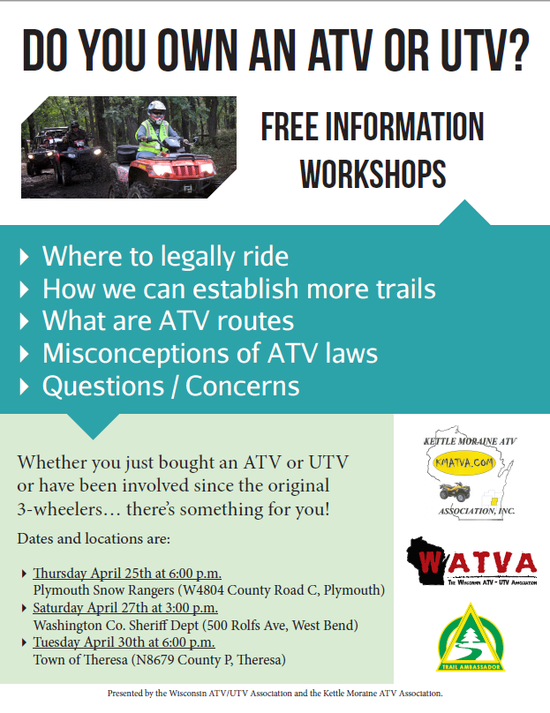 The Wisconsin ATV/UTV Association (WATVA) and Kettle Moraine ATV Association (KMATVA) are presenting three (3) ATV/UTV Town Hall style Information Workshops. We'll have information for beginners to those riding for years. Want local trails, we'll discuss this. At the end, we'll hold an open discussion where we'll take questions, comments or your concerns. Scheduled for May 3-5 is still on at this time. For all your hard work in attending the countless town meetings to get the the many routes now open in our area, Rick Welch was voted the 2018 Member of the Year. The entire Wisconsin ATV community is grateful to have you working for us. Thank You Rick! !